Tanner Tees® offers FREE SHIPPING by FedEx on all domestic orders. In some cases, we may use the US Postal Service. Alaska and Hawaii do not receive free shipping. 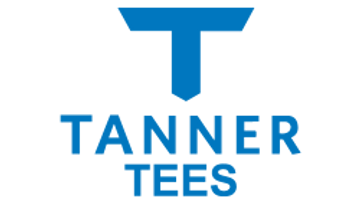 We guarantee to get your Tanner Tees® product on the road within one business day of your purchase. This ensures you are hitting as soon as possible. We know Fast Free Shipping is important to you, and we appreciate all purchases made direct on our site! We are committed to receive, process and ship your order within one business day. Transit times will vary based on your delivery location. Faster Shipping by FedEx is always an option, please contact us to request a quote. Faster Shipping orders placed before 1PM eastern time will ship the same day. Faster Shipping orders placed after 1PM eastern time will ship the following business day. Tanner Tees® accepts returns for refund for unused, undamaged items for a period of 14 days from delivery. We are happy to help with any extenuating circumstances and are always available by phone or email for quick assistance. To ensure you receive the correct product for your hitter's size and training scenario, we are ALWAYS available by phone or email during business hours. Associated shipping costs with returns & exchanges are the customer's responsibility.